Last Saturday, the Utah Olympic Park was shrouded in clouds. Fast, inconsistent winds blew over the aerials course, where a score of young athletes were trying to secure a North American Cup win. A victory would earn them internationally recognized points that could help put them on World Cup circuit. For some, the competition represented a glimmer of Olympic glory – not mathematically impossible for the winner of the event, even if the odds of punching a ticket to the Winter Games are still slim. Up in the judging booth, coaches, athletes and course crew discussed their options. Wind gusts reaching roughly 20 miles per hour made predicting where jumps would land difficult. Landing even a couple feet farther than expected on the steep down-ramp could have meant a yard or more tacked onto the athletes’ falls, making awkward landings nearly inevitable and greatly increasing the likelihood of injury. The more experienced athletes were ready to try it, but the teams comprise a broad range of talent. In the end, the officials elected to cancel the second round of jumps and the finals and score the athletes based on their qualifying jumps from earlier in the day. It made for some surprising results for the athletes. So with that, the first North American Cup of the season was concluded, and its winners (both Americans) were announced. On the men’s side, Justin Schoenefeld took first for his back full-full (two twisting flips). The women’s winner, Karenna Elliott, was equally surprised. After a knee injury last season, she has been working back through the sport slowly and didn’t anticipate winning a North American Cup while relegated to the singles ramp. She said most of the other competitors were performing double flips, but were over-rotating in the wind. Sunday’s weather was better, providing a better venue for the second North American Cup (they are run as discrete events, two at each location on the circuit). The athletes returned to compete under clear skies, though persistent wind was still pushing their jumps farther downhill. The better weather allowed for the skiers to execute more triple flips, with Park City’s Zachary Surdell finishing first for the men, thanks largely to his full-full-full, a triple-twisting backflip he performed in the first round. The best part of the competition, he said, was landing his jumps, skiing away and going home and sitting on the couch. With the conditions over the tournament, none of those results were certain. 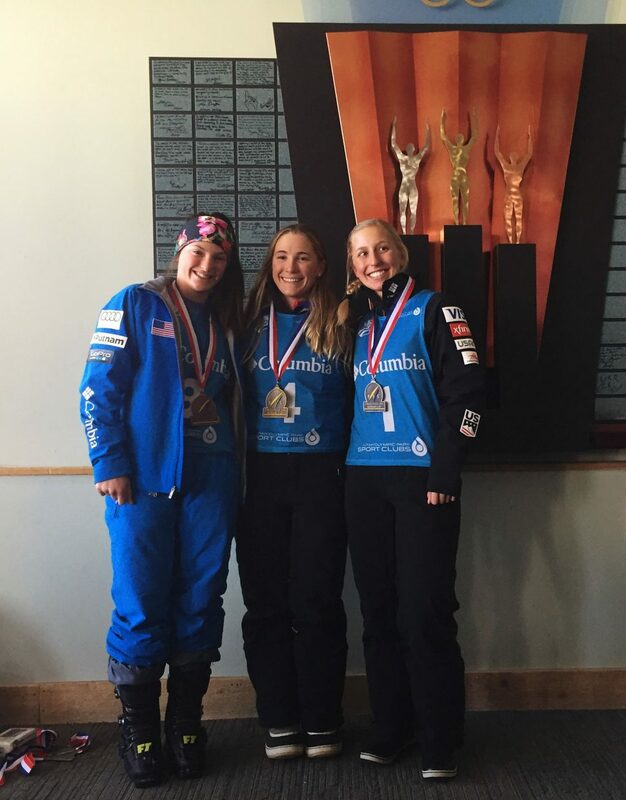 Madison Varmette, who also trains in Park City, won on the women’s side. She said she was just glad everyone finished safely. She said given the short window for practice this season because of warm weather, not everyone was at their full competitive level, which made extra consideration important when deliberating the race outcome. The winners from the event are automatically qualified for the remaining North American Cup competitions as well as domestic World Cup events, and makes them more appealing to coaches for traveling World Cup events, including an upcoming competition in Moscow. However, even the winners couldn’t say for sure whether they would be going. “Nothing’s ever for certain in aerials, it seems like,” Surdell said.